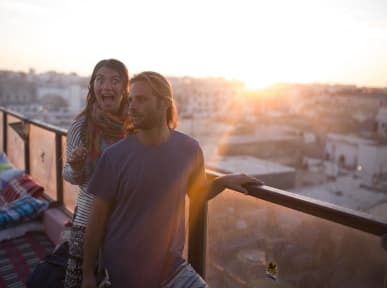 Atlantic Hostel kohteessa Essaouira, Marokko: Varaa nyt! Staff in rooftop was not nice, too many macho maroccon guy around. but music was good. Staff in downstairs was friendly, but also doing this same than other places in marocco, that lied about value of dirham. For Maroccon people the turist are just source of money so don't believe if they are call you a friend or brother, what they are doing every 5 minutes.